The bar and grille with a theater marquee offers a creative menu. 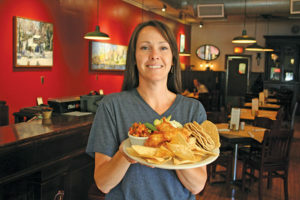 Server Laura Clemons recommends the fish tacos. 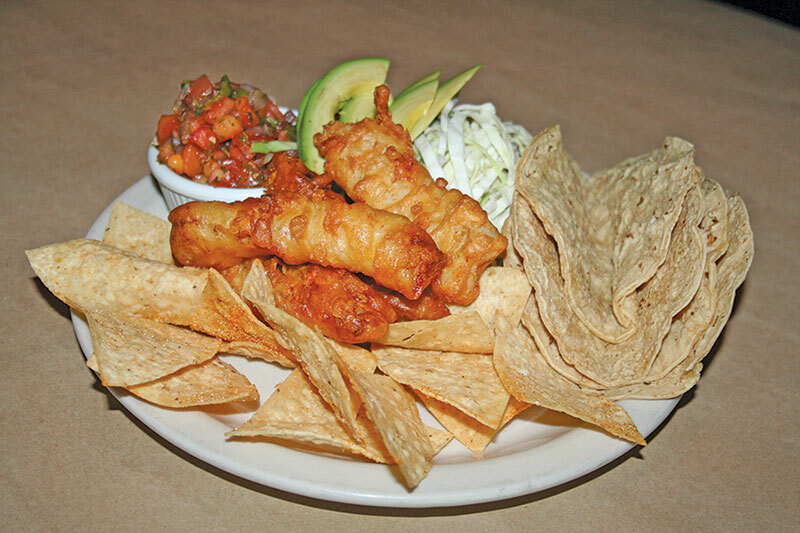 Beer-battered and flash-fried cod fillets are wrapped in corn or flour tortillas with avocado, cabbage and Phil’s homemade fresh salsa, topped with a light lime-yogurt sauce. Tacos are served with tortilla chips. 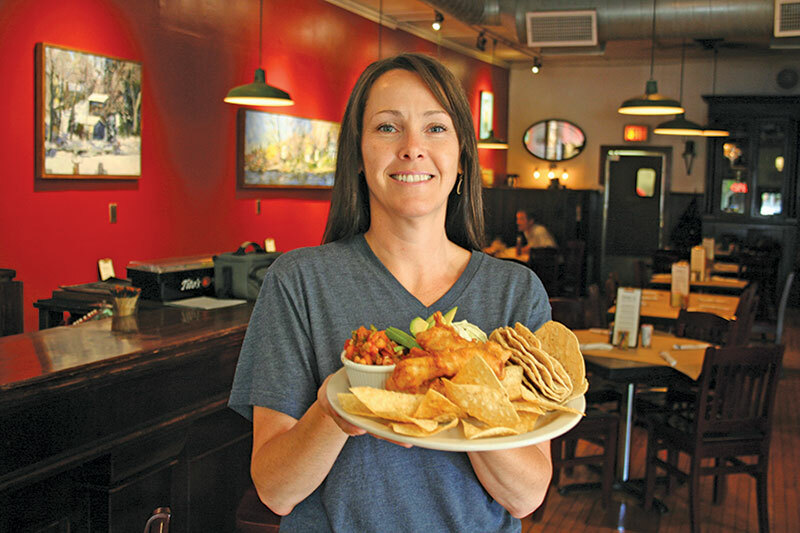 Lake perch and spice-rubbed ahi tuna tacos are available.